The M-16 line of knives has been in the CRKT lineup longer than most other knife designs, and this is for good reason. They are great knives, with that certain tactical look about them. 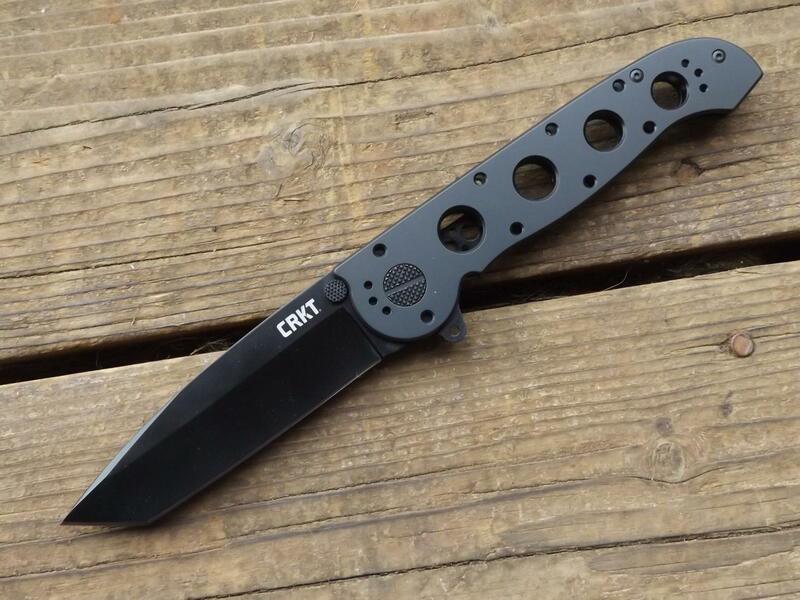 Today, we look at one of the newest in this stable of folders– the CRKT M16-04KS. I still remember sitting in the Columbia River Knife & Tool (CRKT) offices during one of my visits to their operation in the USA and spying some new folding knives that weren’t meant for public viewing. I was sitting on the desk of Rod Bremer, the (now) sole owner of CRKT. I think I caught Bremer by surprise with my keen eye and started to ask him about those new folders. Immediately I saw some potential in those folders for a few changes. I suggested that they offer these folders in different handle colors– red for fire/rescue personnel, OD green for military, blue for law enforcement, and also other colors. While it took two years for those changes to come about, they did. As I’ve learned, nothing moves fast in the cutlery industry. As a disclaimer, CRKT produces my own OC3 fixed blade fighting knife design. It took two years for this design to reach the market place. Did I mention that nothing moves fast in the cutlery industry? Yeah, I thought I did. The M16 line of folders are designed by Cutlery Hall of Fame, custom knife maker, the late Kit Carson. He was inducted into this classic Hall of Fame for many good reasons. The man knew what he was doing, when it came to knife designs. I’m not at all sure how CRKT managed to get Carson to do these collaborations with them, but they did. Now, we all benefit from Carson’s designs and at affordable prices, too. All you “not made in the USA” naysayers, can stop reading here, if you don’t appreciate fine cutlery made any place other than the USA. As I’ve stated numerous times, you get as good as you want from China, Taiwan, Japan, and other places outside of the United States. To be sure, CRKT products that are made in Taiwan are made in one of two plants; one plant is solely owned by CRKT, and one of their executives travel there on a regular basis, and I mean on a very regular basis to make sure that their knives and other products are being made to their specifications. The other plant that CRKT uses in Taiwan is one that they don’t own; however, they lease it out. At least, this is my current information on these two plants. So, don’t go thinking that CRKT products are made in slave labor camps. They are not! Long-time readers will undoubtedly know that I prefer folding knives with blades between 3.5 and 4.0 inches and that I find that the happy medium, for my tastes, rests right around 3.75 inches. In most cases, this just seems like a blade this long can do more of what I expect from a folding knife. The M16-04KS has a blade that is 3.871 inches long and is made out of 12C27 Sandvik stainless steel. It’s some outstanding blade material to be sure that does hold an edge a really long time. While it is a little bit of chore to re-sharpen, there isn’t any problem in this regard as far as I’m concerned. It just takes a little bit longer to put a hair-poppin’ edge back on this steel. My sample came super-sharp from the box. The blade is a tanto-style, which is one of my all-time favorite styles that I much prefer for self-defense work. Make no mistake, this Carson-designed folder screams “tactical”, with its black-coated blade and black-coated 2Cr13 stainless steel handles. e holes milled into them, to keep the weight of all the all-steel knife down a bit. However, there is still some heft to this big folder. It weighs in at 6.2 oz, but with the pocket clip you will, in very short order, forget you have it clipped inside your pants pocket. Seriously! The blade thickness is 3.4mm, so there is some “umph” there. This isn’t a skinny blade, but it’s not overly thick either. CRKT uses a frame lock on this folder, and it makes for a strong lock-up. The one side of the handle is actually a part of the locking mechanism. This folder also has the now-famous Carson Flipper Opening method. There is a protrusion, a flipper if you will, on the bottom rear of the blade that when the blade is folded in the frame sticks out a bit. You simply apply some pressure to this flipper and the blade flings open and locks in place. It does take a little bit of practice and some pressure to fully open the blade and lock it in the open position. However, about five minutes of practice and you are good to go. There is also a thumb stud, if you prefer to open the blade that way. I much prefer the flipper, as it’s much faster and easier. The pocket clip can be moved from side-to-side on the handle scales, as well as being set up to carry the knife tip-up or tip-down. That’s all outstanding. Plus, the pocket clip is located in that “just right” position, so that the knife can easily be drawn from your pocket. The knife doesn’t ride too low or too high in your pocket, and it is fairly fast to draw it from your pocket. 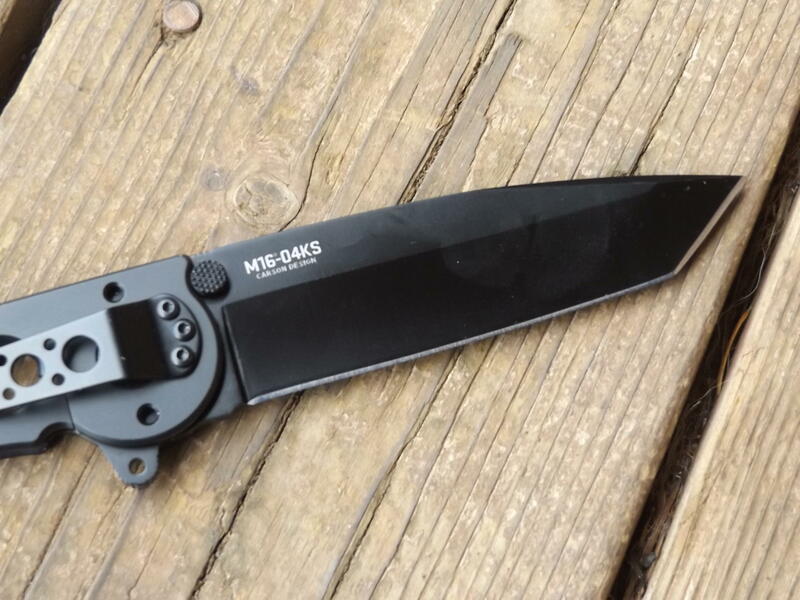 While not designed as a “regular” folding knife but more tactically-inspired, I used the M16-04KS around my homestead for various chores. It actually worked quite well around the kitchen, and it loved cutting an occasional steak at the kitchen table. It did a great job of cutting open cardboard boxes that FedEx or UPS brought my way. It easily sliced through hemp rope and cotton rope was no challenge at all. I could also stab it to the handle scales into stacked cardboard. Then there’s my famous blackberry vines, which are one of the toughest things to cut through with a single swipe of a folding knife, and if the knife isn’t sharp it won’t cleanly slice through one of these thick vines. I look for some of the thickest vines to test knives on. The M16 had no problems taking one of these vines down with one well-placed swipe of the blade. I used the sample M16 for more than two weeks, carried it in my right front pocket, and showed it to quite a few folks. The guys at the local gun shop always appreciate a good folding knife, and they sang the praises of this folder. In fact, they said it looked “wicked” to their minds. It is one wicked-looking folder. The best is saved for last, and that is the price. Full retail is only $69.99. 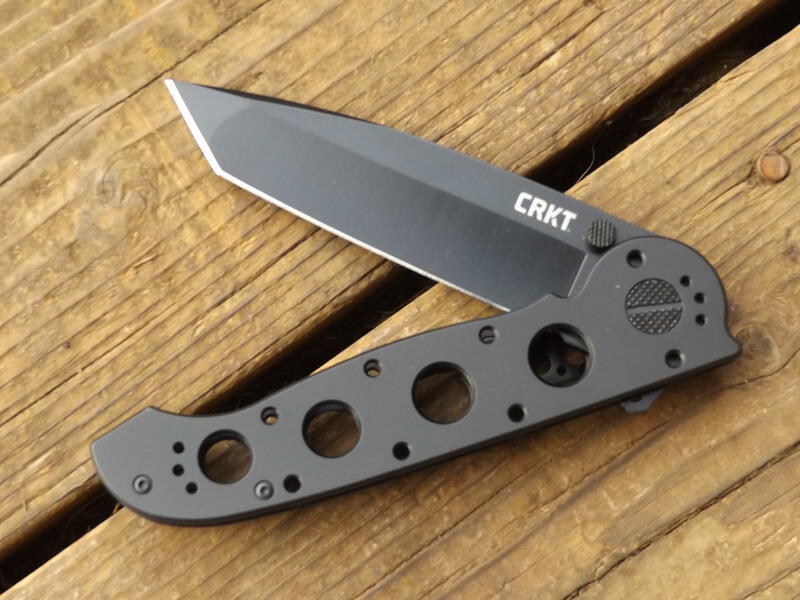 As always, if you shop the big and small box stores or online, you can find CRKT products deeply discounted. That is a good thing for us. However, with the new trade war we just started with a lot of countries, prices on a lot of things made overseas might be going up, a lot. So get what you want now. Check out this big folder. You’ll appreciated it not only as an EDC folder but as a great urban survival folder as well. Previous PostRecipe of the Week: Mac and Cheese, by B.I. I stopped reading, as Pat suggested. I thought you said you stopped reading? I did stop reading when Pat suggested it, as I said in my first comment. Are you okay? So are they offering it with different colors? I suggested that to them years ago as I need a high visibility handle. One of these in international orange would be sweet. Yet another knife to add to my list. This would be a great everyday carry. Thanks for the review. Perhaps in the future you can add a brief specs chart including country of manufacture. No apologies or even comments are needed when you mention something is made outside of the US. Most of us understand it’s a global economy and if we truly want a USA manufactured product we will need to do our own legwork to source it. 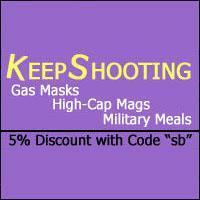 Not every review can be done on USA made products and not all Survivalblog readers are based in the US. I would find a review of one of the Peltonen and Glock Knifes interesting. Ugh…yet another folder. I can’t remember the last time I saw a review of a full tang, fixed blade, carbon steel, full sized field knife on here. I didn’t even bother to start reading. Seeing yet another folding tanto was enough. JLH, you need to look back in August and April for Pat’s fixed-blade reviews. I personally don’t like liner-locks for hard use, but I often carry a folder because it’s better for EDC. Great knife. I have one in my range bag and glove compartment. I don’t like it for EDC. The holes in the handle allow a tremendous amount of pocket lint to gather on the blade and get into the mechanism. I also prefer the LAWS lock if it is in the model you want.